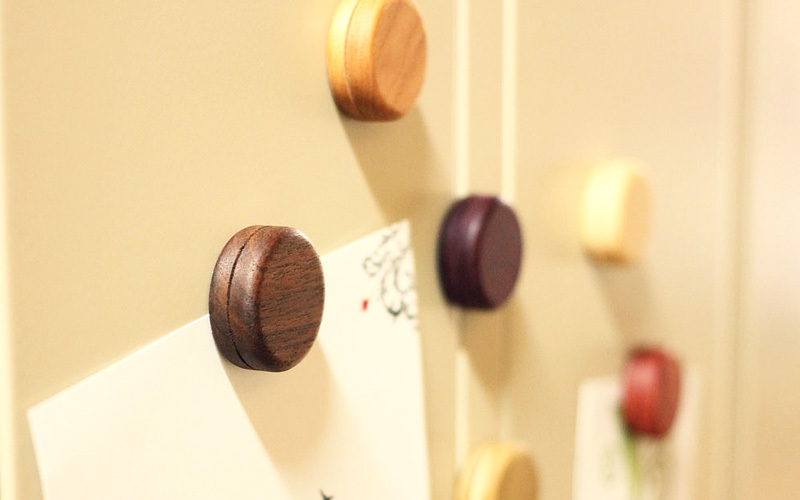 With its plump appearance in reminiscent of macarons, these magnets feel as if they have a sweet smell of candy. 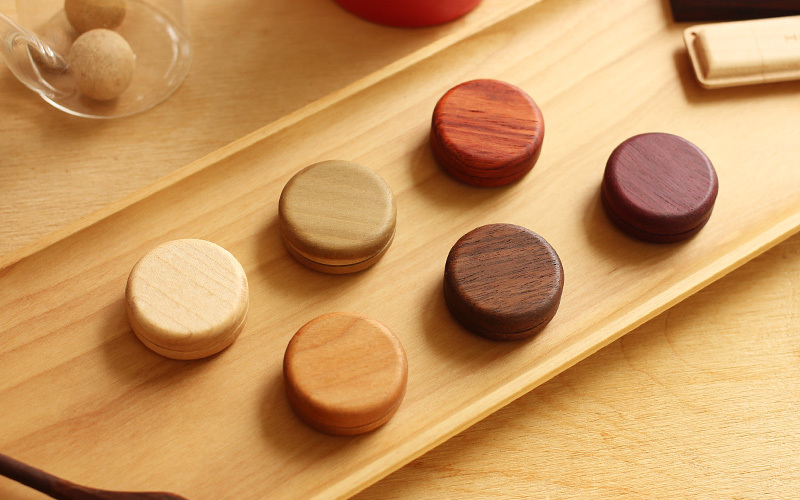 It is made with natural wood and its colors are just as they are and additive-free. 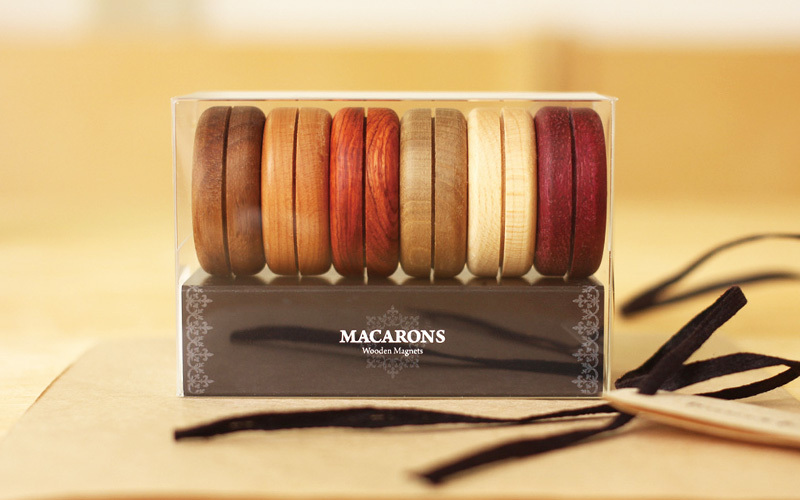 It is available in a colorful assortment of 6 different wood types with beautiful natural color and wood grains.